Los Angeles, CA, November 2017 – With more than 25 years of experience and over 21 state-of-the-art facilities worldwide, the Voice and Script International Group (VSI) is one of the world’s leading translation and localization recording companies. VSI is a global service provider for all language needs, offering lip-sync dubbing, voice-over, subtitling, translation, post-production, creative and access services. 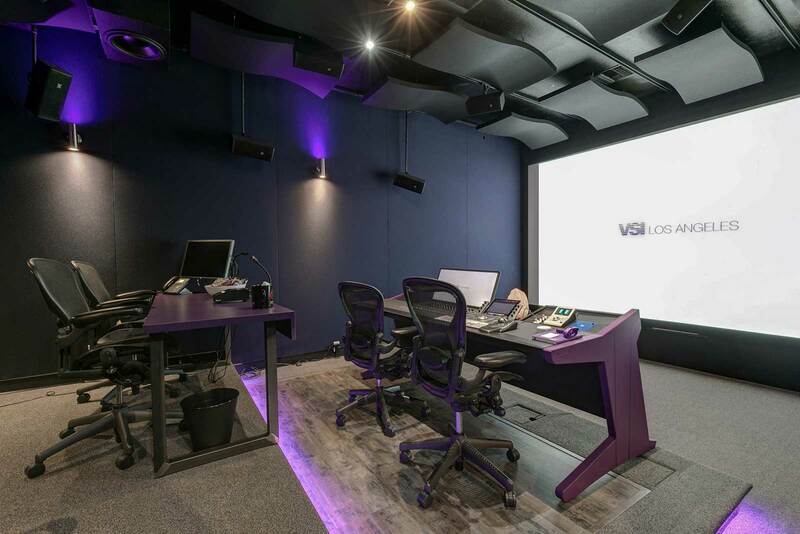 Before designing and building their new Los Angeles studio complex, VSI General Manager, North America, Alex Weiser contacted Jim Pace, President of Audio Intervisual Design (AID) to assist in finding the ideal location in Sherman Oaks. Pace and the team at AID worked with Weiser and the VSI London headquarters team to design and create the three-control room complex, which has two recording spaces and the ability to record both voice and musical instruments, as well as other post-production operations. One of the requirements was the ability to mix in professional Dolby ATMOS format for home theater. VSI localizes theatrical movies, TV series, documentaries, award shows, advertisements and more. VSI’s expert teams possess in-depth knowledge and cultural understanding of global brands across all industry sectors, making it an ideal localization company to help businesses grow international sales. 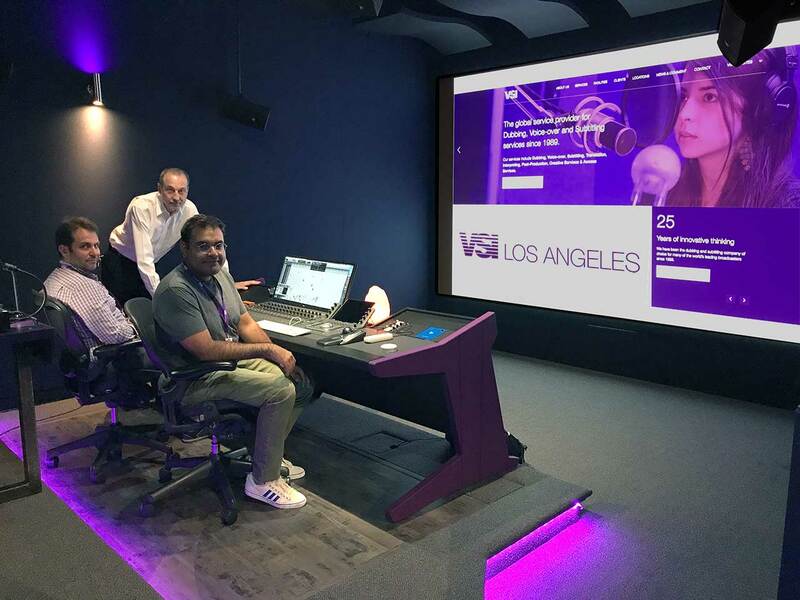 Pictured (L-R) at Voice Script International in Los Angeles are Alex Weiser, VSI General Manager, North America; Jim Pace, President of Audio Intervisual Design, and Oscar Garcia, VSI Staff Audio Engineer. Photo by David Goggin.